When we last left off in August, we were iterating on the just-released community preview. In September, we improved the editor, worked on documentation, made some adjustments to the language, and also put Eve up on the Web. The table of contents (TOC) is one of the more interesting features of the editor. The TOC is generated using the headers in the document, which allows you to bookmark key sections of the program. Clicking on an entry in the TOC moves the corresponding section into focus, so this is a nice way to navigate through a larger program. Now the editing experience is customized to the task at hand. This opens up some interesting possibilities, like being able to save and share these views, or generating customized views based on a query. 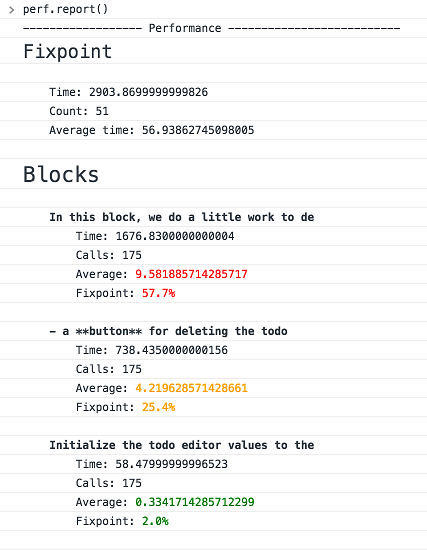 For example, during a code review you might want to see all blocks modified by Steve in the last week. Something like that is further down the line, but it’s nonetheless an interesting possibility. We’ve improved the editing experience with in-browser WYSIWYG support. One of the slight drawbacks of being CommonMark compatible is having to type code fences for every block of code. Not only is this sometimes tedious, but backticks and tildes are not even on some international keyboards. Fear not: if you write code in our editor (and we hope you will, but you don’t have to) you can create a code block with a nifty shortcut. 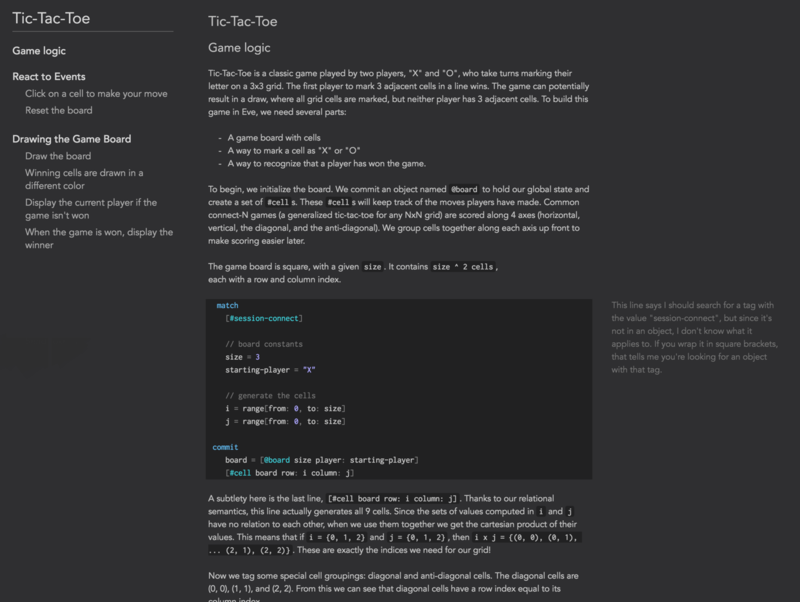 Furthermore, since we render Markdown in the editor, the code fences don’t clutter your code. Here, you can see a compiler error displayed next to the block that generates it. It’s not hooked up here, but we’ve shown previously how errors like this can be fixed automatically with the click of a button. We’ll be incorporating more of those ideas in the next month. We’ll have a lot more to talk about on this front in a couple of weeks, so stay tuned. In August, we tentatively settled on the term “context” in place of “bag” to describe a collection of facts. After testing “context” for a couple weeks, we came to the conclusion that it just wasn’t the right word; it didn’t adequately describe the underlying concept, and thus it was misleading to some people. Instead, we’ve decided on “database”, which is a much more obvious and standard choice. We’ve found less confusion in using this word, so it seems like a win so far. 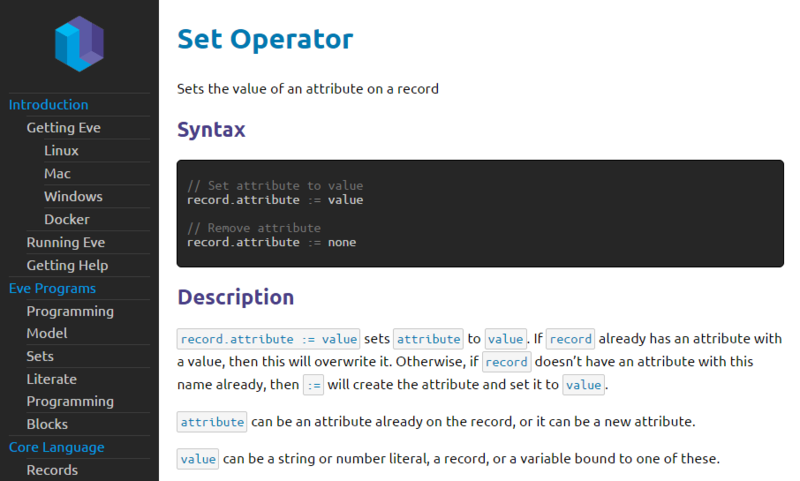 Let us know what you think over at the syntax RFC. We also decided to rename match to search. Match was supposed to evoke the idea of pattern matching against data. This wasn’t clear to some people, and we’ve found that search is more intuitive. 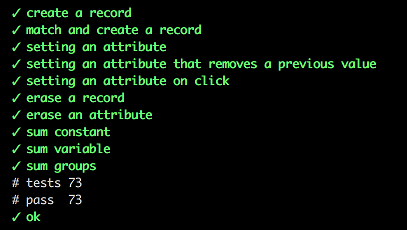 We’ve been using @ as a shortcut for the name attribute on records. For example, instead of writing [name: "Corey"] you could write [@Corey]. However, we’ve decided to remove this shortcut for several reasons. First, after writing more applications in Eve, we’ve found that the name attribute isn’t actually commonly used, so a shortcut doesn’t save that many characters. Furthermore, the tag shortcut ( # ) can be used instead with the same effect. Finally, the semantics of @ in Eve are different from @ in other contexts; whereas @ resolves to a unique username on Twitter and Github, @ in Eve could match against multiple records. After all, name is just an attribute like any other. Here, we’re assigning a database to a variable based on a condition. If the condition is satisfied, [#bar] is bound to @db1. If the condition is not satisfied, [#bar] is bound to @db2. We’ve been a little quiet on the blog, but community efforts are still abound! Most of the community-focused work in September went toward building out our documentation and guides. We’ve put a lot of work into witheve/docs. The handbook now has a lot more content, and can be browsed on the web. In October, we’ll be making improvements with a focus on styling and completeness. The quick start guide is coming along nicely. It’s gone through a few iterations of user feedback, and we’d like to hear from a wider audience. The guide starts by showing you “Hello World!” in Eve, and from there slowly introduces language concepts until you have the tools to write a simple web app. We hope you’ll give it a read and let us know how it can be improved. That’s all for September. But as I said earlier, we have some exciting stuff in the pipeline for October. As always, we hope you give Eve a try and tell us what you think on the mailing list!